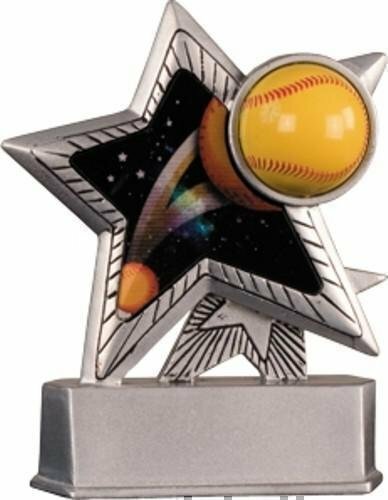 Softball Shooting Star Resin. 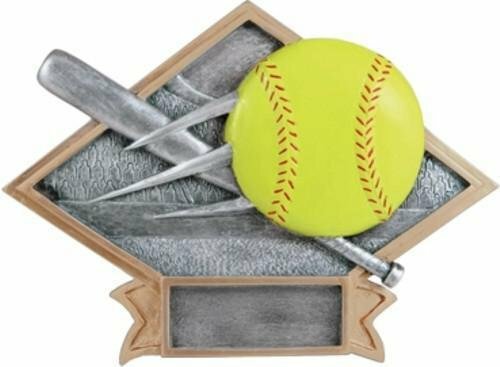 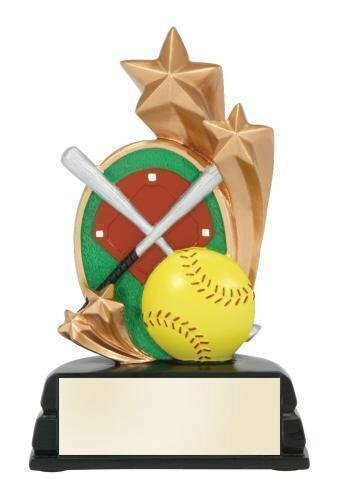 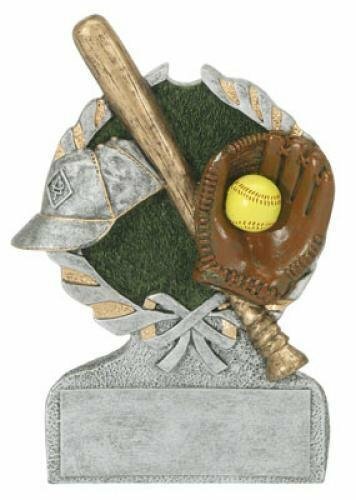 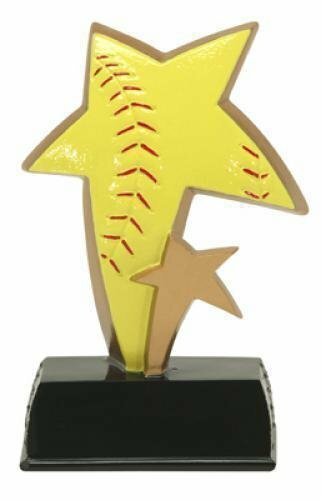 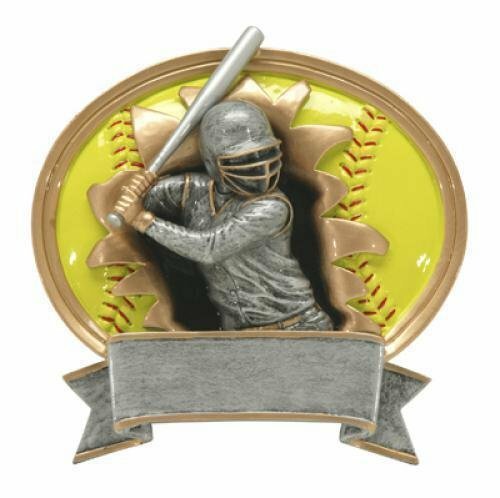 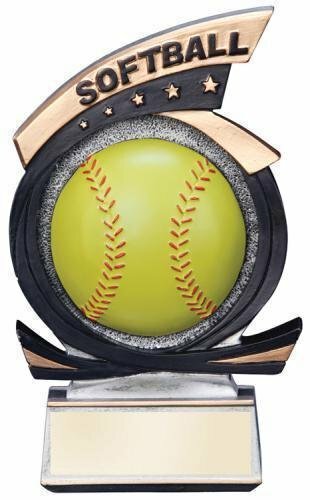 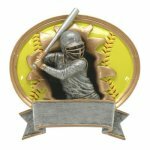 A fun and lively resin trophy with a softball resting on shooting stars. 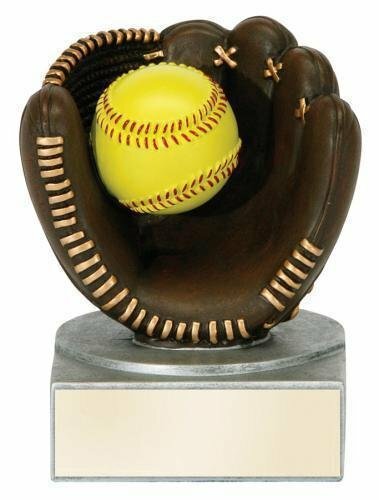 The Centurion Softball Trophy is a popular choice. 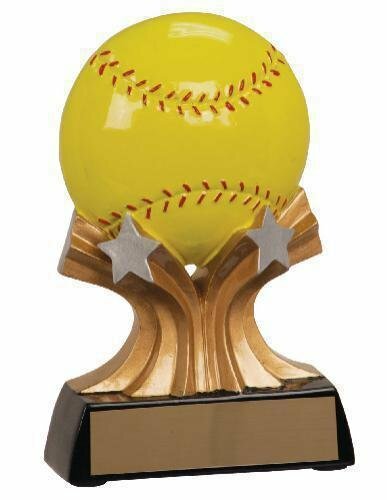 The Softball Award comes with a brushed gold, lazer engraved plate.